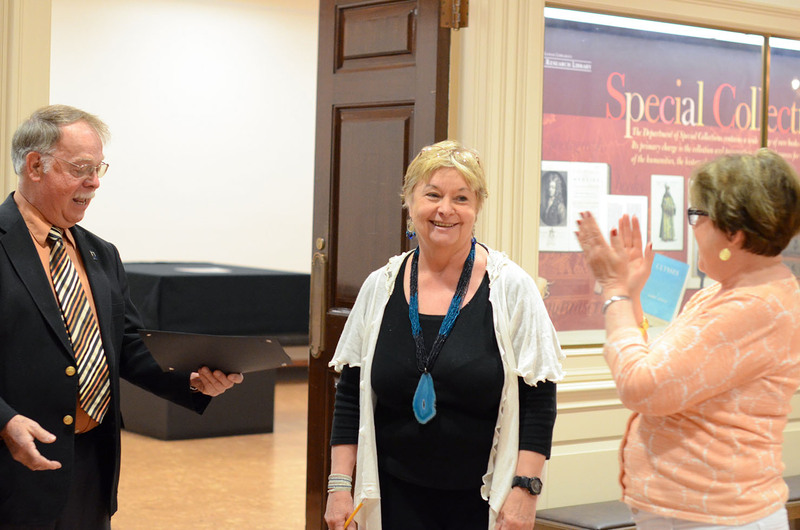 LAWRENCE – Faculty efforts on a statewide anti-bullying project and the preservation of archives from across Kansas have been recognized with the Steeples Service to Kansas Award. Three faculty at the University of Kansas were honored this year for their contributions to the people of Kansas through teaching and research: Paula Fite, associate professor of clinical child psychology with joint appointments in applied behavioral science and psychology; Anne Williford, assistant professor in the School of Social Welfare; and Sherry Williams, curator for KU Libraries. 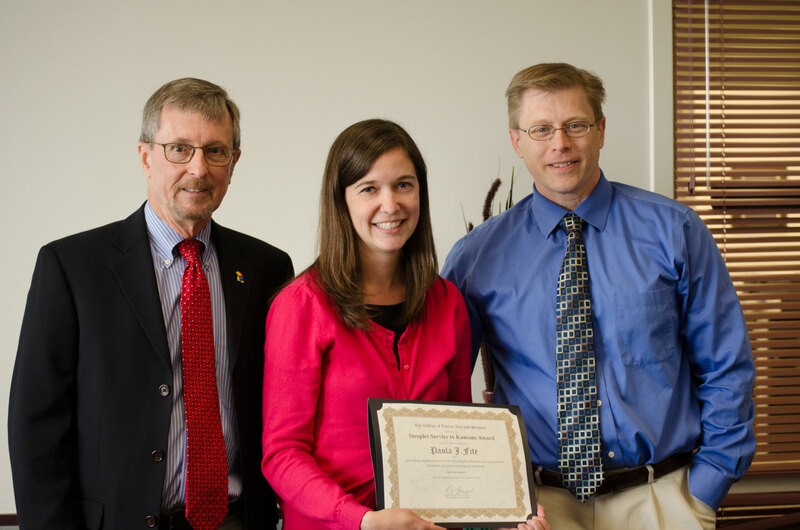 Fite and Williford were nominated together primarily for their work on the Kansans Against Bullying project, which provided resources to 144 school districts in the state. They created a research-based tool kit for schools and communities, intended to reduce the frequency and effects of bullying. They disseminated this information at 10 regional workshops throughout the state. Fite and Williford were also available for personal consultation with administrators and school counselors. The project website, which is continually updated, has been visited by nearly 2,000 people. Given the number of people each of the teachers, administrators, counselors and website visitors may advise or counsel, the magnitude of its effect is substantial. Don Steeples, interim dean of the KU College of Liberal Arts & Sciences, and his wife, Tammy, established this award in 1997 to honor Don Steeples’ parents, Wally and Marie Steeples, and to recognize outstanding service by KU faculty to other Kansans. The award provides recipients with $1,000 and an additional $1,000 base adjustment to their salaries. Funds for the award are managed by KU Endowment, the independent nonprofit foundation serving as the official fundraising and fund-management organization for KU. Founded in 1891, KU Endowment was the first foundation of its kind at a U.S. public university. The College of Liberal Arts & Sciences confers the Steeples awards. The College encourages learning without boundaries in its more than 50 departments, programs and centers. Through innovative research and teaching, the College emphasizes interdisciplinary education, global awareness and experiential learning. The College is KU's broadest, most diverse academic unit. PHOTOS (clockwise): Sherry Williams (center) is surprised with her award by Kent Miller, interim co-dean of KU Libraries, and Becky Schulte, university archivist; Paula Fite (center) with the College's prize patrol, including Jim Mielke, associate dean for the College, and Ric Steele, director of the Clinical Child Psychology Program; and Anne Williford with Tom McDonald, interim dean of the School of Social Welfare, who surprised her with the award.